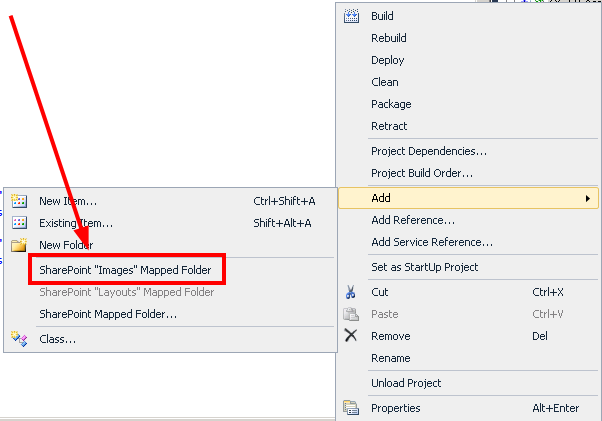 In this hint,I will explain How to Add Image URL placed in SharePoint “Images” Mapped Folder inside CSS file in SharePoint Visual Web Part. "background-Image:URL(Image placed in Mapped Image folder)"
Add the preferred image in this folder by adding existing item. Open your CSS file > Drag the image in an appropriate place, where it will be inserted as HTML IMG Tag.